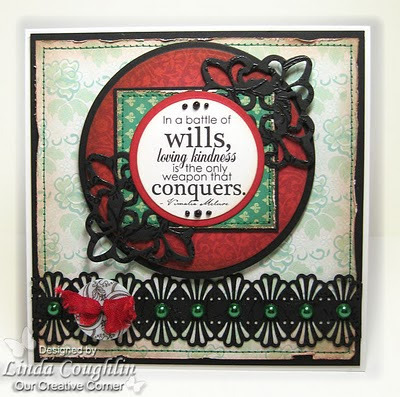 Welcome back to another challenge with Our Creative Corner. 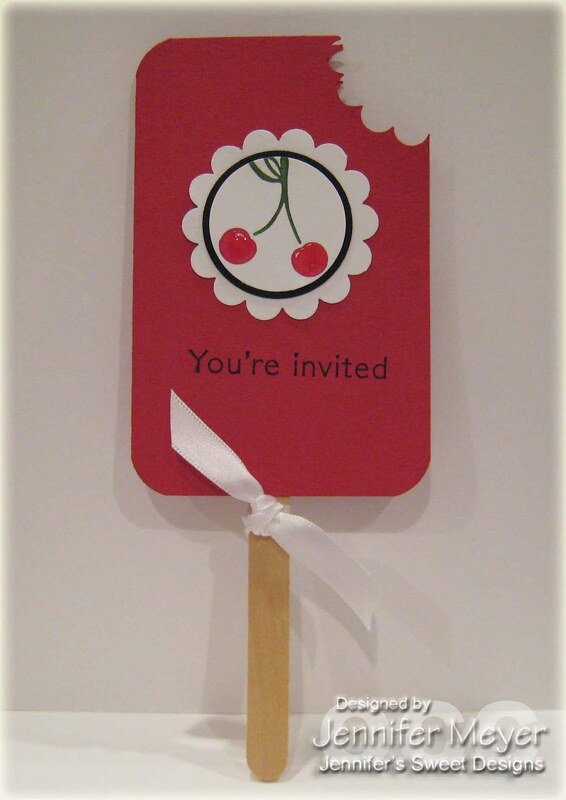 We really enjoyed all of your gorgeous color samples last week, thanks for stopping by and playing along!! 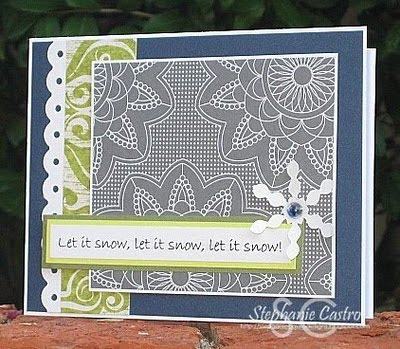 Before we show you this weeks samples, we would like to feature one of our participants from last weeks color challenge. 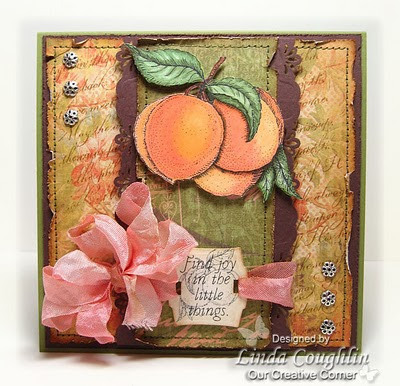 This week we are featuring Devlin, please stop by here Blog to see more of her stunning designs. This week challenge is all about Christmas. 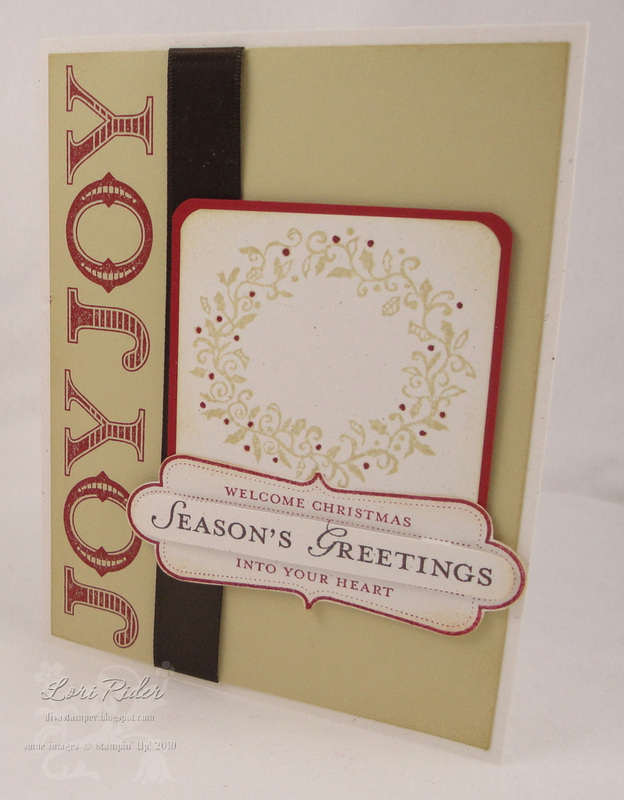 With Christmas right around the corner it’s time to dust off your Christmas stamps, paper and embellishments. 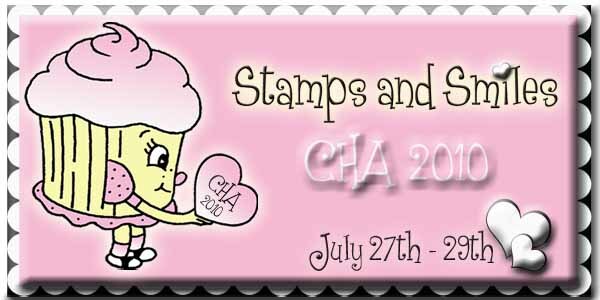 Feel free to use your favorite stamps and supplies. 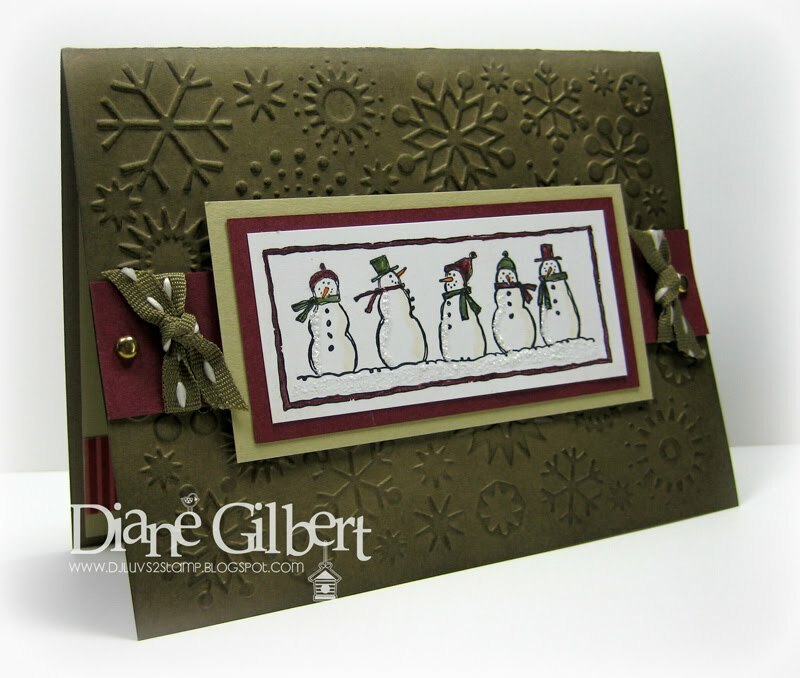 Diane Gilbert ~ My Little Stampin' Spot! 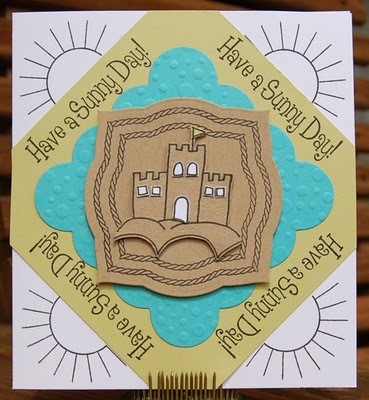 Welcome back… We would like to thank all those that stopped by and played along with us last week, your beach layouts were so much fun!! 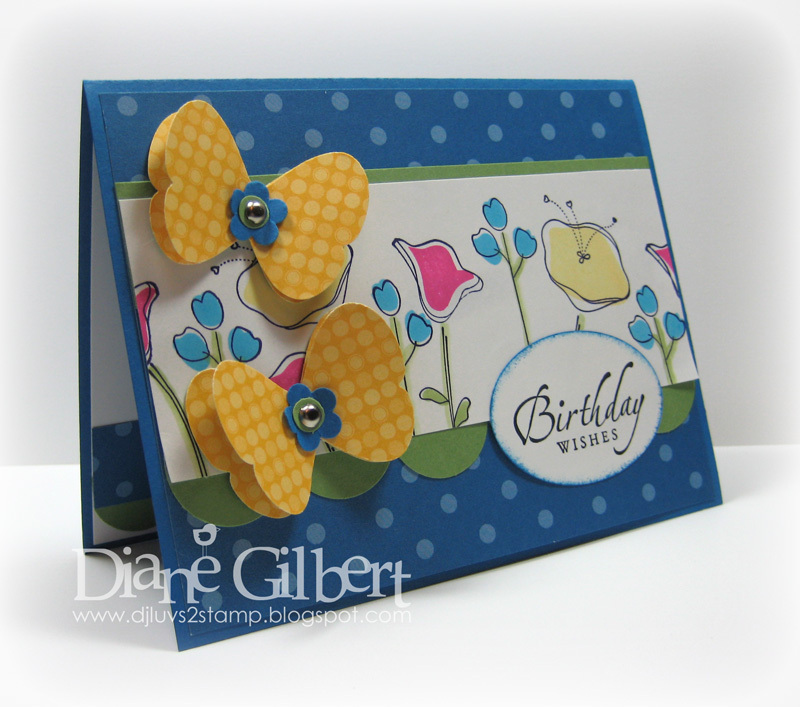 Before we show you this weeks samples, we would like to spotlight one of our participants... Diane from Peaceful Lane. 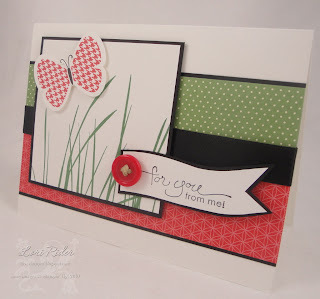 Please stop by her to see more of her creative style. 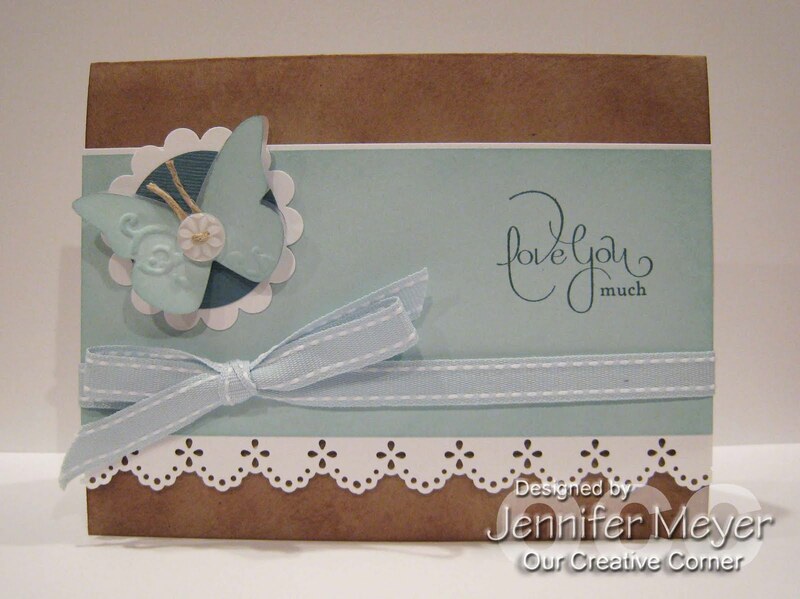 This week, Jennifer Meyer, has challenged the OCC to a color challenge. When I think of summer I think of watermelon. 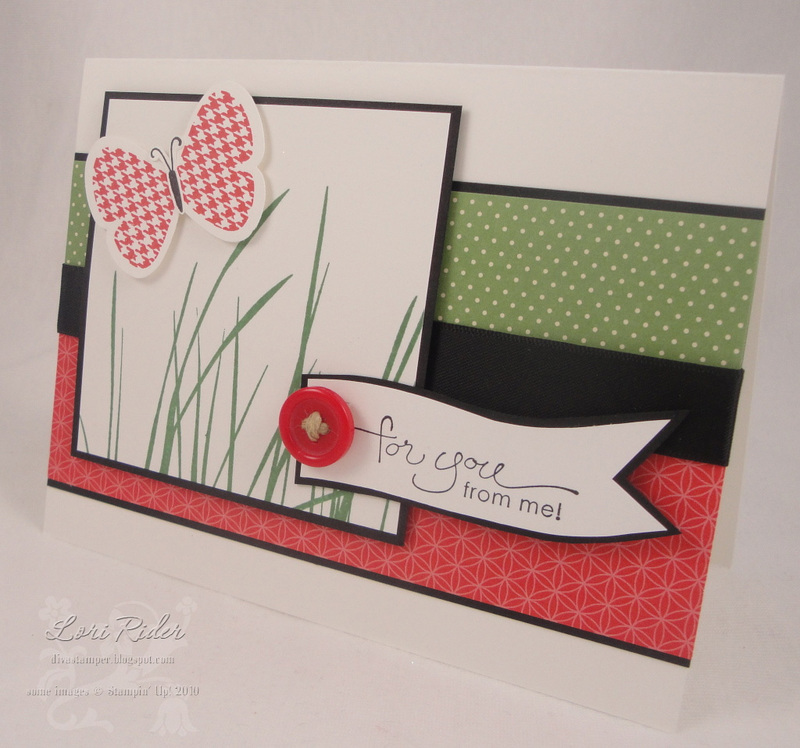 So day's challenge is to create a card or project using Green, Red, and White & Black. 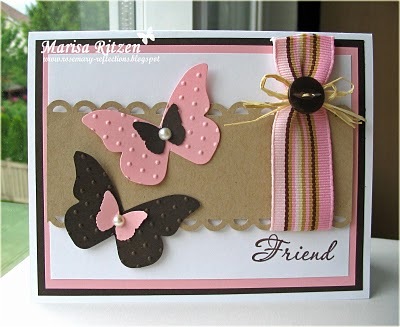 Have fun with the challenge and we can’t wait to see your colorful samples!! Diane Gilbert~ My Little Stampin' Spot! 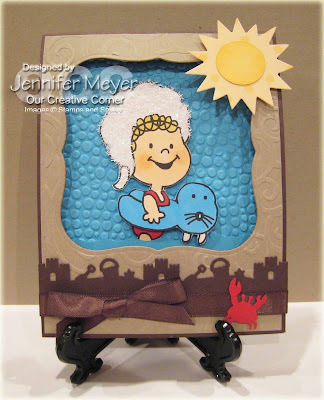 Welcome back to anther fun summer challenge here at Our Creative Corner! 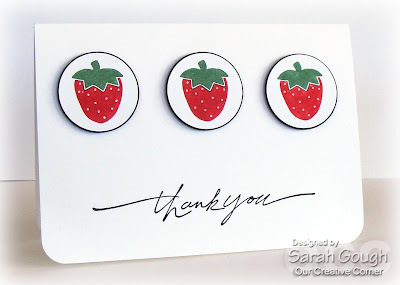 We want to thank all those that stopped by and played along with us last week, your samples were so much fun and creative!! 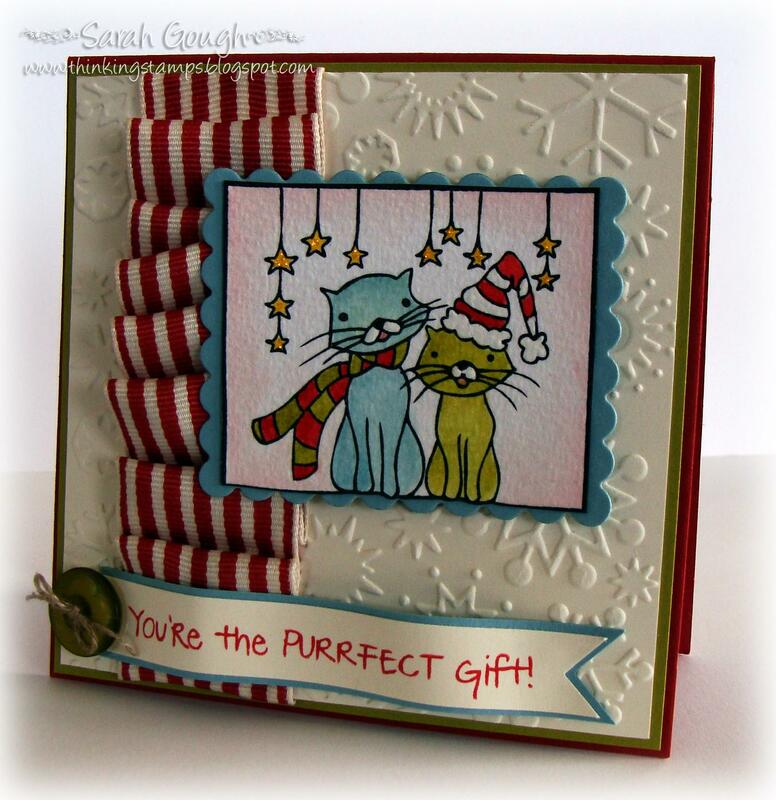 Before we show you this weeks samples, we would like to spotlight on of our participants Kay Demonbren from Will Trade Sleep for Stamps. 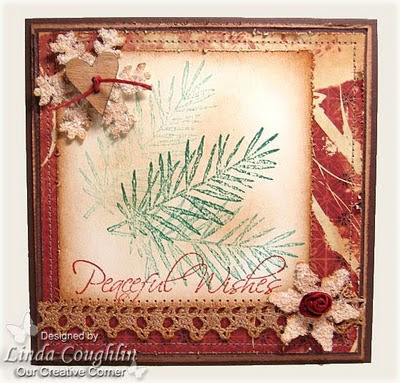 Please stop by her blog to see more of her beautiful work. This week our July hostess, Jennifer Meyer, has another summer challenge for us. 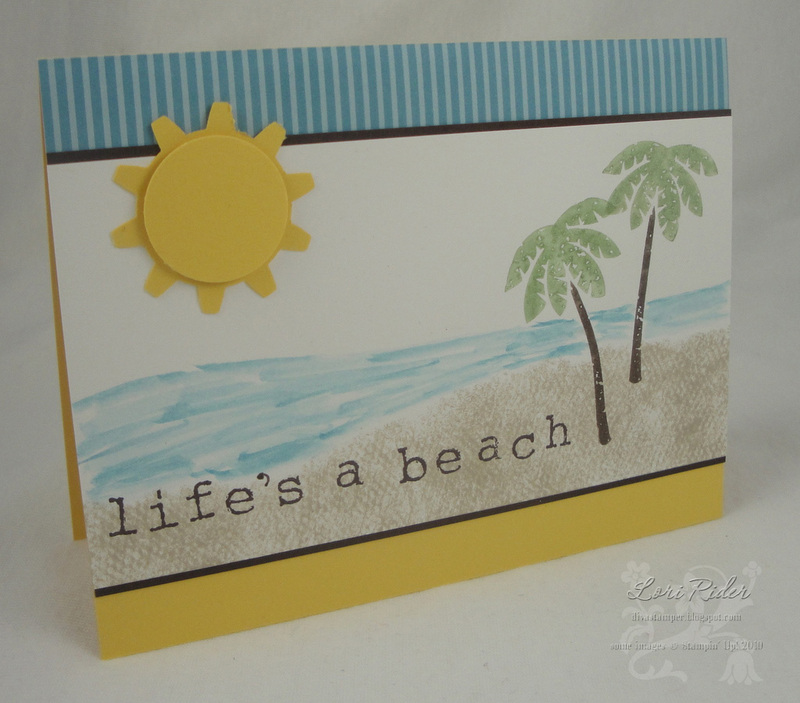 Create a card or project using a beach layout. 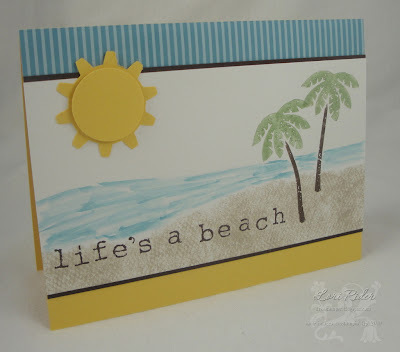 Since we all seem to be feeling the heat this summer, I know we all could use a little time away at the beach!! We can't wait to see what you come up with!! There is no time limit on our challenges. Participate whenever you are able To play along, upload your creation to our blog or gallery, then use our linking system to submit your entry. If you upload to SCS, please remember to use the keyword: OCCC. Hello OCC friends! 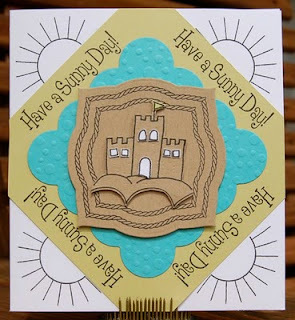 Thanks to all who played in last week's sketch challenge, your samples were amazing! Before we announce this week's challenge we want to announce the winner from last week's mystery giveaway! Congratulations to Marisa from Rosemary Reflections. Below you will see her gorgeous card and layout. 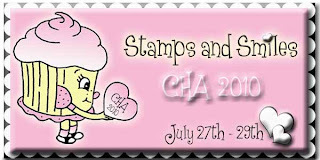 Please email us at stampsandsmilesstore@yahoo.com so we can get your goodies out to you - WOO HOO! 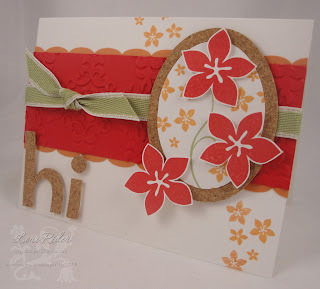 This week's challenge, brought to us by our July host, Jennifer Meyer, is to incorporate cork into your card or project. If you don't have "real" cork, try using kraft cardstock or an empty cereal box. There is no time limit on our challenges - feel free to participate whenever you are able. To play along, upload your creation to your blog or gallery, then link your name and direct link. If you upload to SCS, remember to use keyword: OCCC. 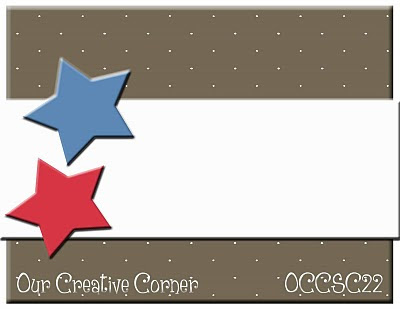 Hello and welcome to Our Creative Corner! We want to thank all those that stopped by and played along with our color challenge – you all are the best and your samples were so colorful!! 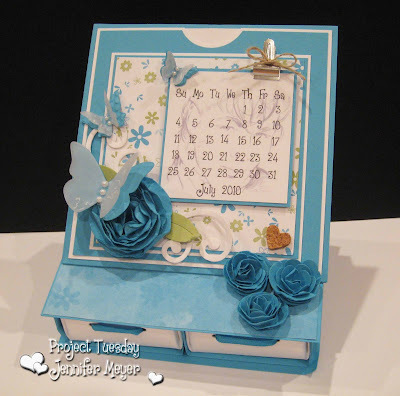 Before we start this week’s challenge, we would like to announce this weeks Featured Stamper - StephC from Stephanie Castro Designs. 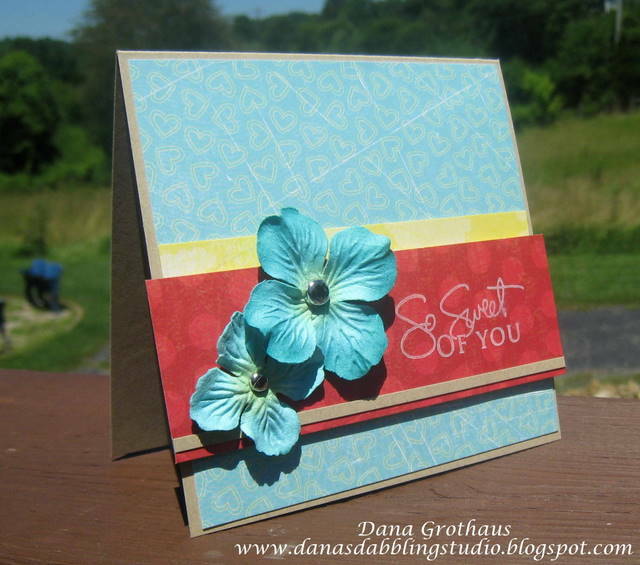 Below you will see her beautiful color sample using shades of blue & green. Wait there is also a prize to be won!!! 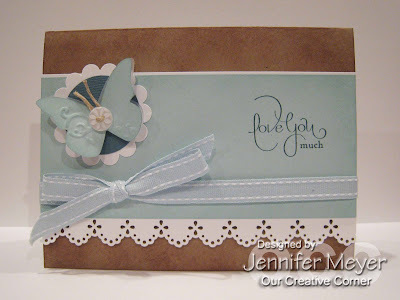 Jennifer is giving away a *MYSTERY PACKAGE* with lots of fun goodies!!! To play along, upload your creation to your blog or gallery and link it back here, by Friday, July 9th at 10:00 PM CST!! Please make sure it is an active link. If you upload to SCS, remember to use keyword: OCCC. Before we get to this week's samples, we have prizes to award. The random winner of last week's sponsor prize, three digital images from Isabella's Sketchbook, is Lynne from Stamp Around the Block. Not only that, we actually FORGOT to award the prize from our June 12th post which is five digital images from The Prairie Fairy. Our apologies for that oversight! 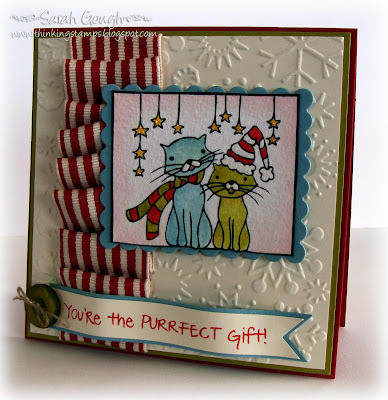 The random winner of that prize is Susie Sugar from Susie's Sassy Designs. Congratulations to both winners!! Thanks so much for playing with us at Our Creative Corner. Please go to the sponsor's website and shop for your prize, then email Linda Coughlin at thefunkiejunkie@gmail.com with your choices. She will arrange for your prize to be emailed to you.